Find a GAB (Gospel Art Book) picture of child being confirmed (you can find one HERE to download or buy the Gospel Art Book HERE. See how I've taken mine apart to use in lessons HERE). Download and print the 3 questions and 1 quote found HERE on plain white paper. Then also print the wordstrips from HERE (cut each line so each line can be posted individually). 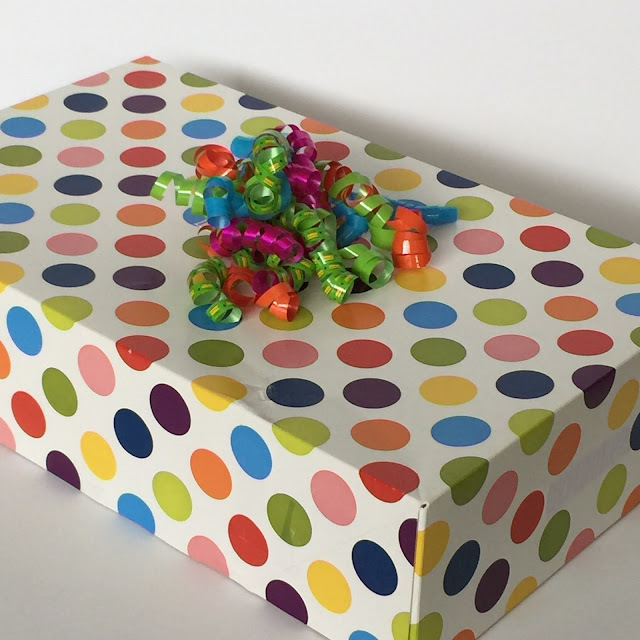 Place all items in a gift box and wrap it if you like (I didn't but my box was decorative enough). I also added some tissue paper in between the sheets to make it more like a real gift you'd give receive. Write “The Greatest Gift” on the top of the chalkboard with chalk. Ask the primary if they could have a choice of any gift in the world, what would it be? 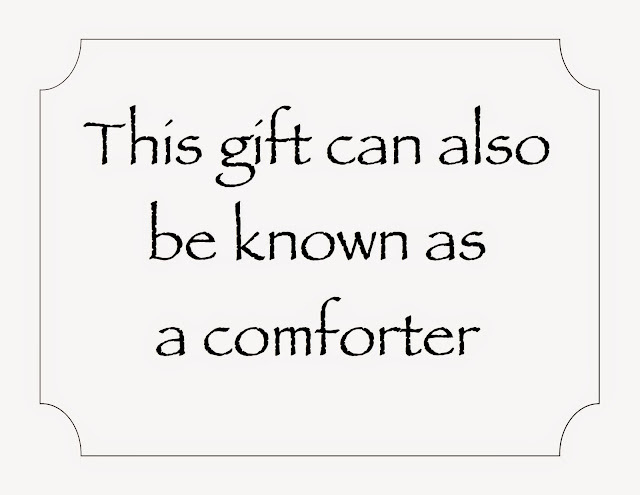 There are many great gifts that we could receive in this life. Take answers. 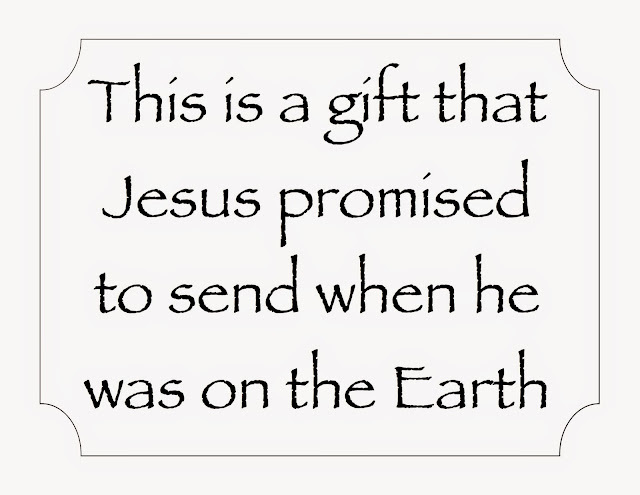 Tell them Heavenly Father has given us the greatest gift (show the present). 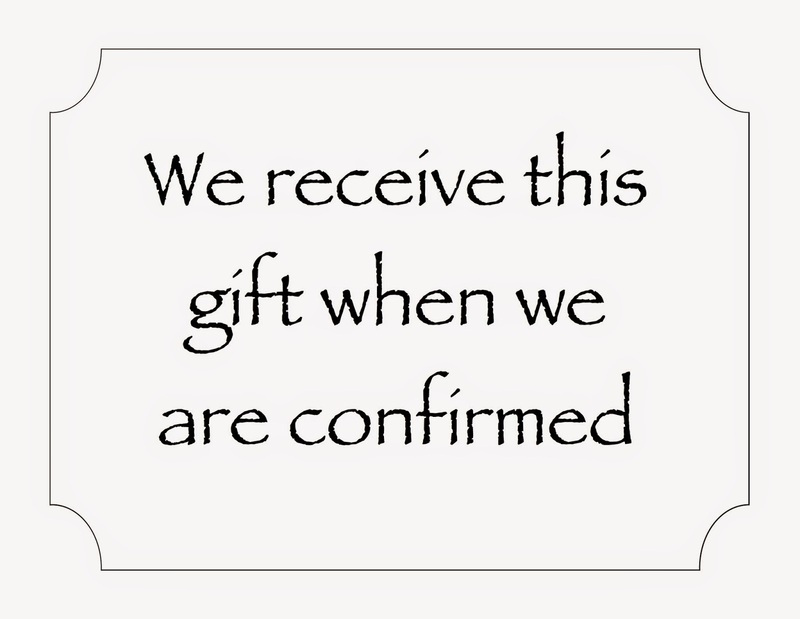 Let’s open the present to help us figure out what that gift is. Have primary children come up and post the 3 questions on the chalkboard with magnets. Let the primary answer the questions. 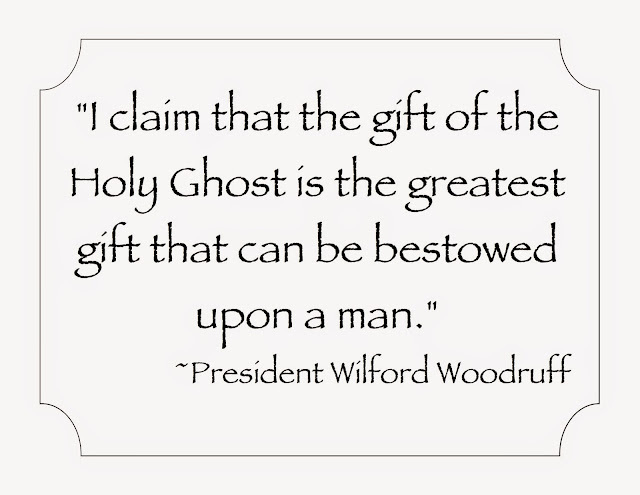 Have a primary child come post President Woodruff’s quote. Have a primary child come post the GAB picture of the child being confirmed. Tell them we are going to learn a song about the gift of the Holy Ghost. Sing through it once clapping the melody and then explain that just as the beat in the song is constant, the Holy Ghost can be our constant companion. Have primary children post the first few word strips and sing each line as each is added. After the first section tell them, The Holy Ghost is called the comforter and he can give you comfort when you are sad, lonely or worried. Have the primary children post the next few word strips and sing each line as each is added. After the second section explain, Sometimes we say the Holy Ghost "whispers." We hear his voice with more than our ears. We "hear" him with our minds and our hearts. 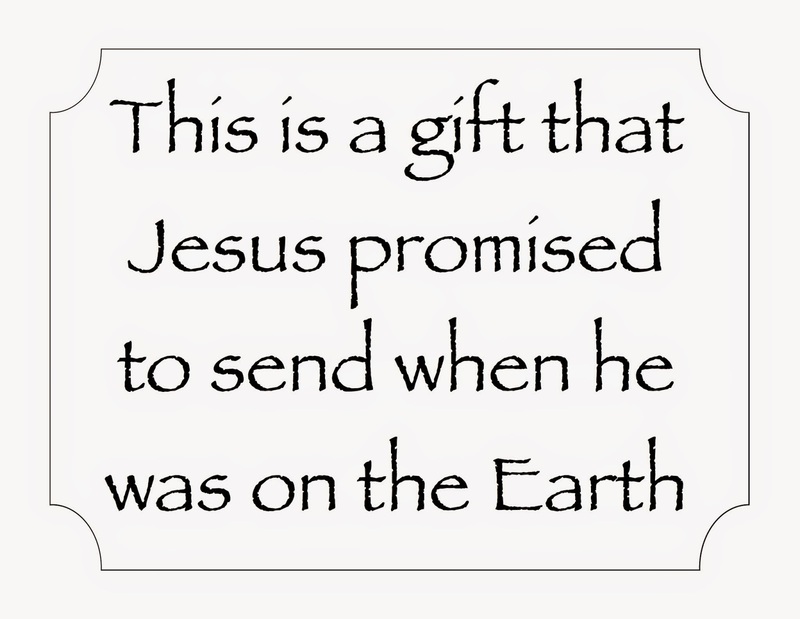 After the third section say, Heavenly Father promises this great gift to all who are baptized and keep their baptismal covenants. 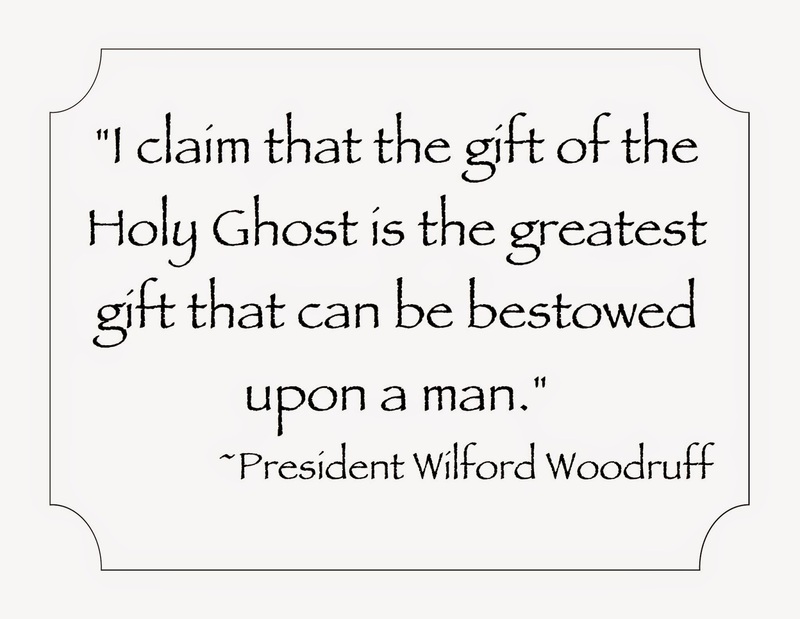 After the fourth section, ask and explain why is it important to have the Holy Ghost as a companion? The Holy Ghost will guide you and help you choose the right. You must learn to choose the right in order to be worthy to live with Heavenly Father and Jesus again. **Thank you to Primusic Yahoo group member for posting a version of this and for the wordstrips posted on sugardoodle.net. Find details for teaching the 2nd verse HERE. I LOVE how you took my idea and made it better. I am SO not creative. I think that I'll use yours...its way more fun! Thanks!!! Thanks for the great ideas! I was asked to sub tomorrow and your lesson plan is perfect! Thank goodness for creative people who are willing to share their talents. :) You make the rest of us look great. First, I love your blog it has some great ideas, I'll have to use these... I am the Primary President in my ward in Oregon. Anyway, my name is Jaime and I run a blog called The Dress-up Drawer www.TheDressUpDrawer.blogspot.com and I am running a giveaway right now for a Picture Presenter which is specifically made for Primary Choristers, FHE, teachers, ect. I was just wondering if you could, or would pass this on to your readers since it might be useful to them and is right up their alley. 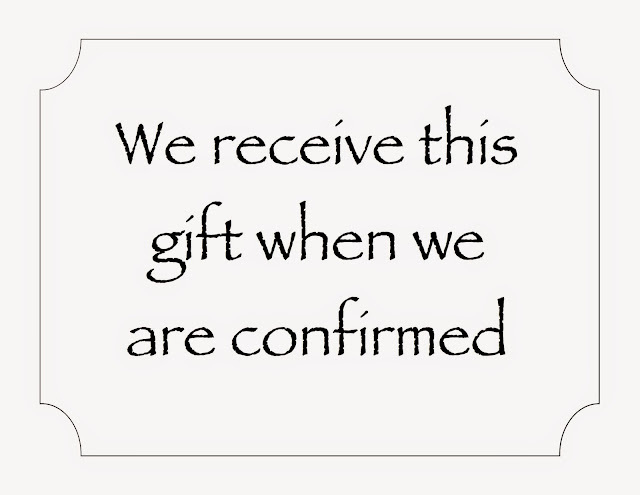 The winner will be announced on Wednesday the 21st. great idea! I just found your blog. I am a new primary chorister and can't wait to see what else you come up with. Got any ideas cooking for the song next month "Come Follow Me"? I know this is an old post, but am I missing something? What are numbers 1, 2 & 3?? It says to post #1, #2 and #3 on the board and answer the questions...what are the questions? Thank you! Definitely an old post - I'm not sure if part of it got deleted as I was super confused myself! I've corrected it so hopefully it makes more sense now! I am a first time primary chorister. Can you tell me what at GAK picture is? Thanks! Brittany- GAK stands for Gospel Art Kit.....pictures printed and available through the meetinghouse libraries or you can order a set through LDS store. I've updated the post to give a little more information on the GAB (the GAK is no longer in print). Princess Danell, thank you for your response!